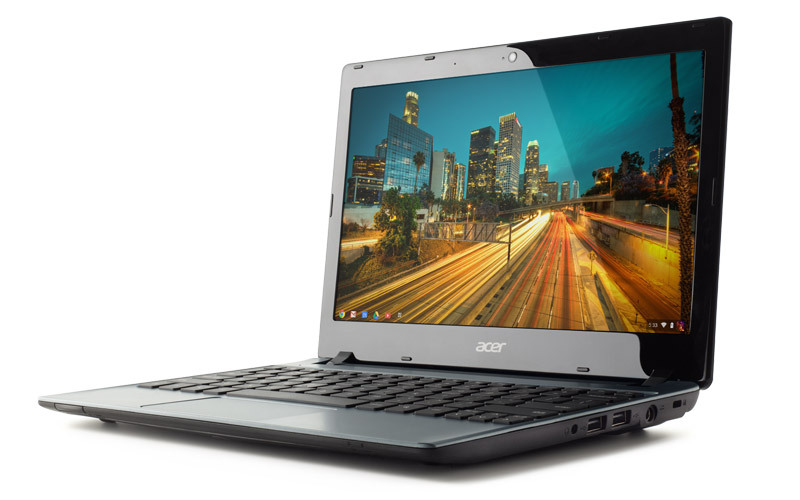 More Chromebooks are out this time a new one from Acer and is only $199. That’s an amazing price for a laptop, while it is a glorified web browser it is still a great deal. A few weeks ago Google put out the Samsung Chromebook for $249 that had an ARM processor but this one from Acer has a Dual-Core Intel Celeron Processor and a 320GB hard drive. Not sure how open the platform is you could probably put Linux or Windows 7 on this could be fun. But for it running ChromeOS it seems like a good enough device and also has that cool deal of getting 100GB Google Drive for 20 years. There is also a set of 12 GoGo Inflight Internet connections included along with both HDMI and VGA connectors so you can have more than one screen. If you’re looking for a second or even third laptop for say your kids or just to have around these Chromebooks may be a good way to get it on the cheap. Thickness + Weight 1″ + 3 lbs. 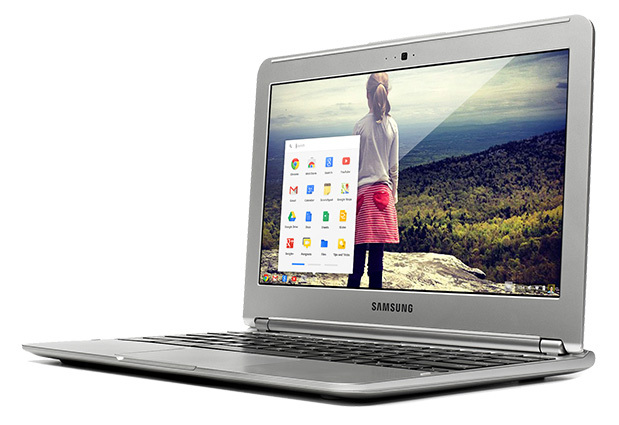 Google has updated the line of Chromebook laptops with a new Chromebook that will only cost $249. This is the point where these computers start to look like a good deal. 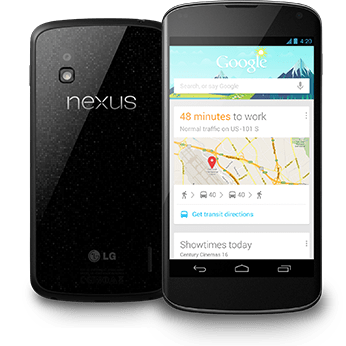 They run Chrome OS, which is a Linux distribution that is focused on only running the Chrome Web Browser. It makes it secure and keeps the system always up-to-date because you are expected to be working online all the time with this system. Lots of people have said this is a great system for their parents so they can get online to check email, Facebook, and get info on the Internet but not have to worry about the system getting messed up. But by having a limited system they have made a lot of changes to the OS to make it more like a traditional OS. Also with the new price drop this makes the system seem like a good deal now. The main difference with this new Chromebook is the change from an Intel processor to an ARM process that would account for the main reason why the price is so low now, along with reduced RAM down to 2GB from the 4GB of older devices. 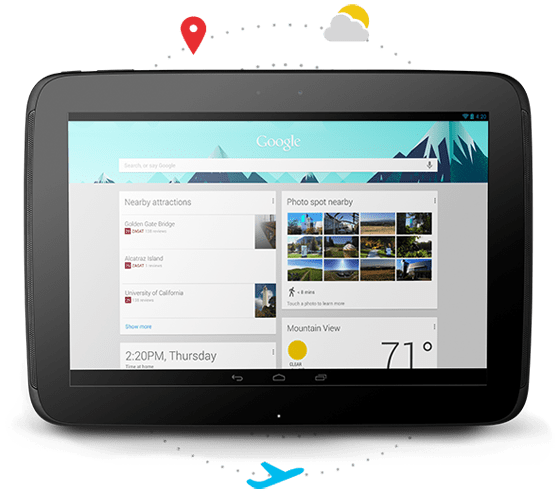 You also get 100GB of Google Drive storage along with the built in 16GB SSD that most of the storage would be used by the OS giving a smaller than expected storage area on the computer, Google expects you to be storing everything in the Cloud so you could just login on any Chrome OS device and it seems like you were always there. The full specs are listed below, but this is only an 11.6 inch screen, gets 6.5 hours of battery, and runs on a Samsung Exynos 5 Dual Processor. Also check out the full gallery of what things look like. The title sounds strange but if you’re looking for a super wide screen check this out, LG at IFA has put out a premium IPS display that is 21:9 aspect ratio, the same as big movie theaters. Most movies don’t come to you on disk in this format but what I saw from this is if you are someone with a more than one display this could reduce the number of screens you may have and it is high quality. The resolution is 2560 x 1080, IPS panel, 7 watt speakers, DVI-D Dual, HDMI, Display port and USB 3.0 hub. With a screen size of 29 inches, this is a big screen too. They put this out as a Multimedia / Multitasking Solution; it should be a good screen for both. If you have lots on your screen like I do this looks cool for 3-4 windows up at once. They also put out a second high quality IPS display in a more normal ratio (16:9) that is 27 inches, with a resolution of 2560 x 1440, DVI-D, HDMI, Display Port, and USB 3.0. 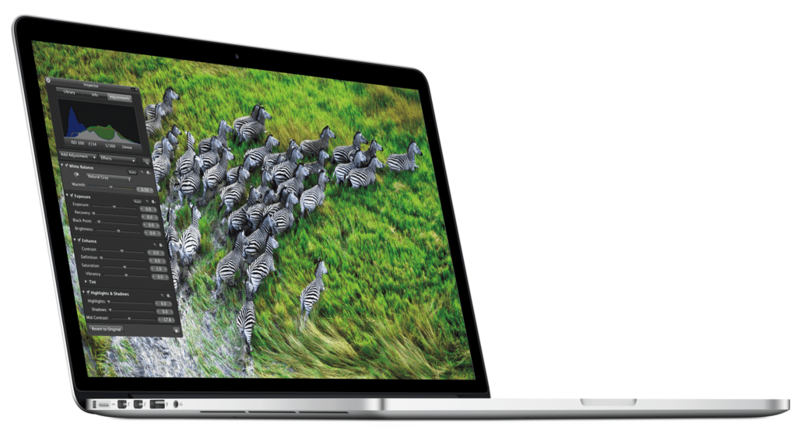 A few weeks ago Apple had an update to their Mac Book Pro line of laptops, and with most other computer venders focusing on building Ultra Books they had to do something that would be different than what most new laptops are going to have in them by the holidays. There trick was an updated 15-inch display using what they call Retina, that has 220 pixels-per-inch to give it one of the best looking displays out. This same technology was used in there iPhone 4s to make the screen look better. One problem with this display is that most applications and websites do not have high enough resolutions to have this be worth much at this time. The rest of the laptop is about the same as any other high end laptop, Intel Core i7, NVIDIA GeForce GT 650M, up to 16GB of 1600MHz RAM and up to 768GB flash based storage. As for ports it has Thunderbolt, USB 3.0, HDMI and an updated MagSafe 2 power plug. They claim 7 hours of battery life, HD webcam, 802.11n Wi-Fi, and a full size backlight keyboard. For the base model the price starts at $2,199 USD and goes way up from there. For that price you can get a great Ultra Book or a Gaming class Windows 7 Laptop, but with Apple you always have the old Apple Tax for the name. If I had the extra money to drop I would get something else, maybe next year it would be great with the Retina Display. But if you’re in the market for an Apple laptop go ahead and get this it’s only more and comes with more memory in the base price.